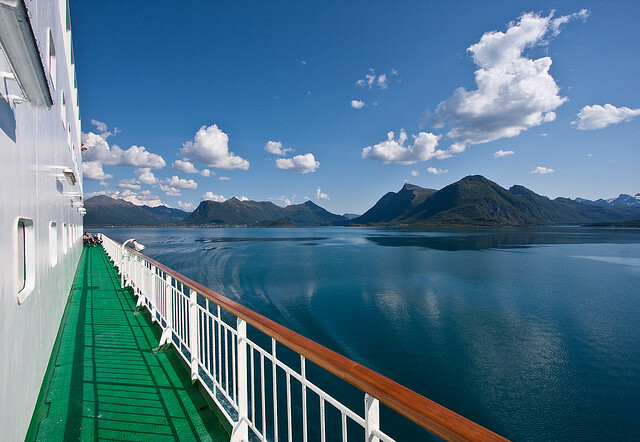 Do you want to see Norway but cannot travel right now? Now you can watch the live broadcast which began yesterday, June 16 and will continue non stop to June 22. Since we started watching the Hurtigruten voyage, it has proven to be the most spectacular thing we have ever seen on TV! Hurtigruten actually means "Express Route" and is a passenger and freight line along the western and northern coast of Norway, tracing its origins more than one hundred years back, established to improve communications along Norway's long, jagged coastline. It sails from Bergen to Kirkenes and back for 11 days. 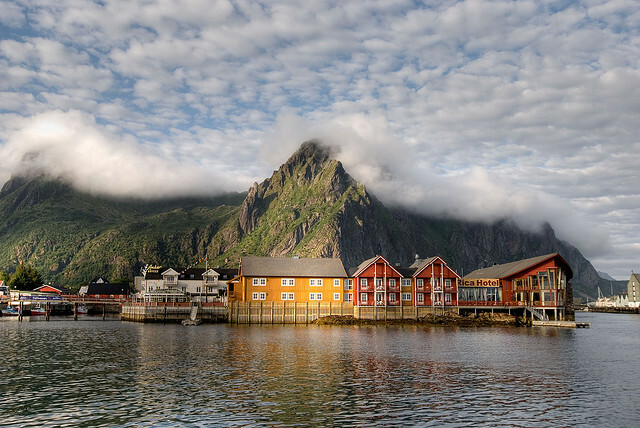 The Hurtigruten covers almost the entire length of the country - a trip that has been described as the "World's Most Beautiful Sea Voyage." And now you can also follow it live here (with a map of the route and the current position of the ship) thanks to the Norwegian Public Service broadcaster NRK! This is the longest live coverage in the history of television (not counting Big Brother). We have been literally watching day and night, almost no sleep because, really... how can you miss the midnight sun and the breathtaking coastline of Norway seen from a ship! You can also download it later or enjoy the Hurtigruten photos in Flickr because NRK has made everything, even the article about the event available with a Creative Commons license. The HDTV signal from the several cameras onboard is transmitted to NRK via satellite. Since the HDTV signal is enormous there is just one live stream from the boat, so what we are seeing is the produced programme, interspersed with cutaways to different cameras, interviews and archive footage, but at every of the 34 ports along the route, the TV crew is dropping off disks with uninterrupted footage from the forward facing main camera, which will be available for download continuously as quick as possible via BitTorrent. To tell you the truth, I even think we are seeing more than if we were actually there right now. Around towns there are always small boats with people waving to the ship and the cameras, the cameras are zooming on different details along the coast, oh what an experience! So, I would be very pleased to share this voyage with you, my friends, let's spend a long weekend together and admire the wild coastal beauty of Norway! Wow! I can see why you aren't sleeping. That's just amazing! before i die, i have to be there in the log swimming in the frozen water of endless cold water. wow. that is beautiful! Never got to go there when I was in Europe but wow, bucket list check! How cool! Judging by the photos, I'd LOVE that trip. It looks GORGEOUS! I was reading a magazine article recently about what is beauty. This defines beautiful, for sure. So Beautiful! Norway is on my bucket list!! Gorgeous photos! Melinda, right now you can see the midnight sun if you follow the link to the live broadcast! GORGEOUS!!! Look at that sky it's stunning! so very spectacular my friend .. i am packing my bag ..
Gorgeous! I would love to go there someday! !